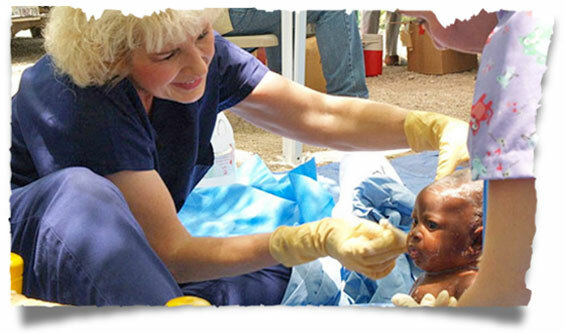 Most of Haiti’s poor do not have conventional healthcare available to them. In fact, many have never been treated by a doctor or a nurse in their lifetime. 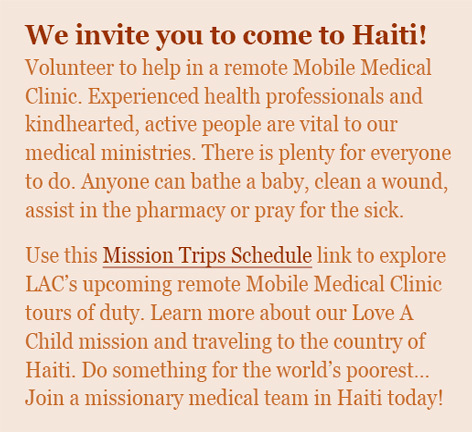 Love A Child (LAC) brings medical services directly to Haitian men, women, and children in need with Mobile Medical Clinics. LAC founders, missionaries Bobby and Sherry Burnette lead these traveling clinics, staffed with health professionals and volunteers into some of the most inaccessible sections of Haiti, we’ve dubbed “regions beyond.” As a result, our mobile teams often treat more than 400 sick and hurting people a day. For many villagers, it is the only medical care they will ever have. 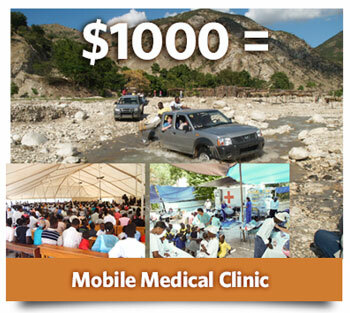 Your gift of $1,000 will sponsor a remote mobile medical clinic for an entire village. This includes medicine, vitamins, and other supplies. A gift of any amount will help us provide emergency care, like sending someone to the hospital. Please consider how you can improve the life of someone in Haiti. Living conditions of Haiti’s poor are heartbreaking. Nearly 50 percent of the population does not have access to clean drinking water. Moreover, one in four children has been exposed to tuberculosis. Malnutrition is pervasive. The resulting health problems are compounded by an astounding lack of services; there are approximately only 25 doctors and 11 nurses for every 100,000 people. Consequently, countless Haitians die needlessly from treatable illnesses simply because they lack basic healthcare. 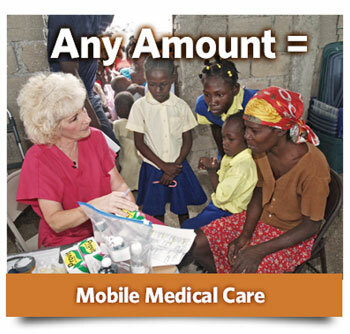 Our mobile medical teams “touch Haiti’s sick” in a variety of ways: not only by tending to ailments and dispensing medicines, but also by demonstrating God’s love through personal compassion and commitment to helping the poor. Psalm 22:24 says: God listens to the cries of the needy. As instruments of God’s mercy, we cannot do less. 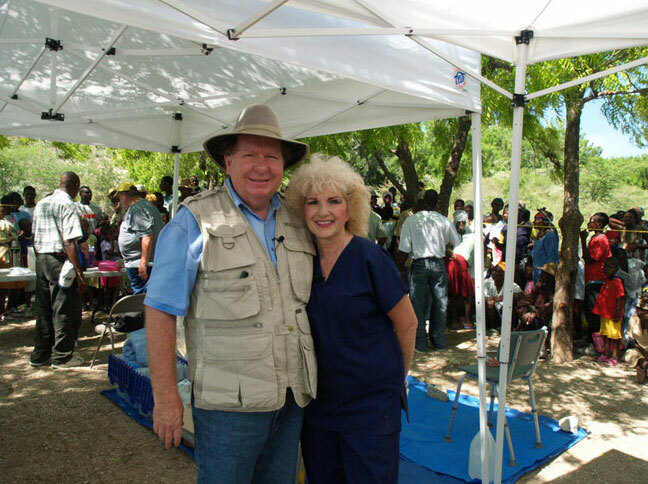 Bobby and Sherry at a remote medical clinic.